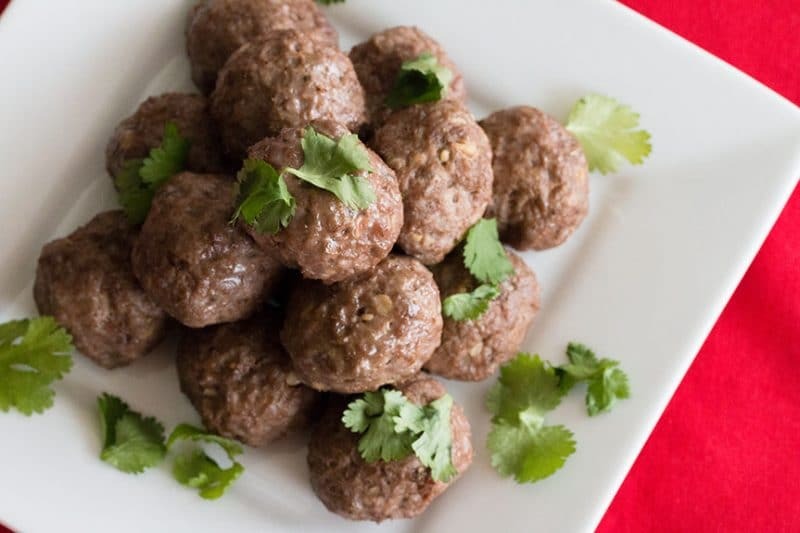 Indian Spiced Lamb Meatballs are perfect for paleo, keto, and Whole30 eating. Garlic, cinnamon, ginger powder, oregano, salt, pepper, garam masala provides a ton of flavor. 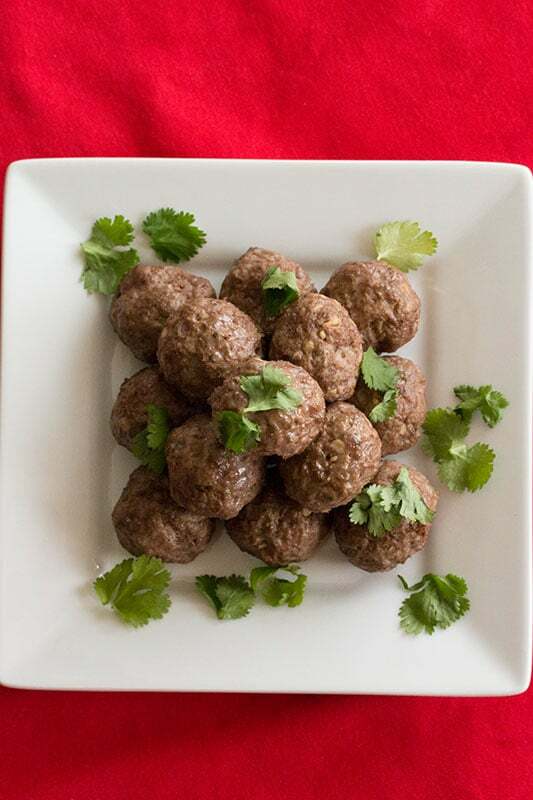 Indian Spiced Lamb Meatballs is a recipe my wife and I came up with because she managed to find ground lamb at the grocery store on sale. It was very reasonably priced, so she picked up a few pounds. I didn’t want to do the usual thing, like turning the meat into hamburgers, so this is the recipe we came up with. It’s super delicious and features pretty easy to find Indian spices like garam masala, cinnamon, and ginger. And it has a good bit of garlic. This recipe is great for an appetizer, parties, or tailgates. They also reheat well. 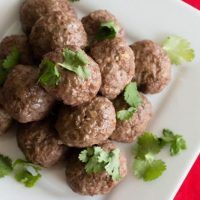 Since Indian Spiced Lamb Meatballs have no fillers, like bread crumbs or flour, they are perfectly suited for gluten-free, paleo, keto, and Whole30 diets. Before you start cooking this recipe, I highly recommend that you hit up your local Indian/Asian market for some fresh spices. You’ll be surprised what other ingredients you might stumble upon. You’ll also be surprised what a difference fresh spices make. While spices do not go bad in the sense that you will get sick from eating them or anything, but they will lose their flavor over time. McCormick has a great article on spices and when to know when they are past their best. I recommend reading it just because it is informative. For this recipe, simply add the garlic, ginger powder, oregano, salt, pepper, garam masala, to a mixing bowl. thoroughly mix the spices in with the meat. The next step is easy, turn the meat mixture into meatballs. I recommend weighing out 1 oz of meat and then rolling those into balls. You should get 16 meatballs, but for some odd reason, I always get 17 and a half… I’m guessing either my scale is off or the meat processor’s scale is off. You can either pan fry these or bake them in the oven. Lamb is pretty fatty, so I prefer to keep the mess to a minimum by cooking them in the oven. Preheat your oven to 400 degrees F. Cook the meatballs for 15 minutes or until their internal temp reaches 165. If you don’t like the thought of using lamb, you easily swap this meat out for any other ground meat. Ground pork, chicken, turkey, and beef would do fine. If I couldn’t use lamb, I’d probably use a blend of 50% pork to 50% ground beef. The lower fat in your meat, the drier the meatball will be. These can be eaten alone as an appetizer or served up as a main dish with some rice, but our favorite way to eat these Indian Spiced Lamb Meatballs is to serve them on top of our Curried Tomato Soup. Measure the meat into 1 oz. portions and roll into balls. 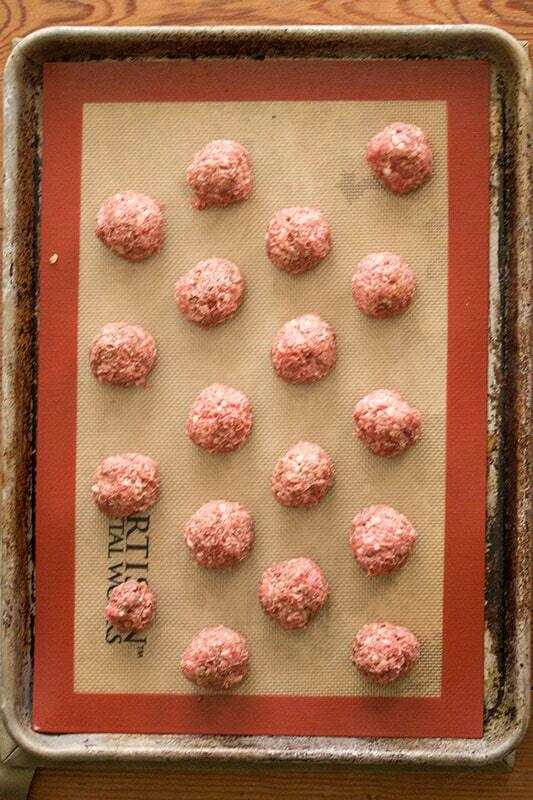 Place all of the meatballs onto a greased baking sheet. Recipe nutrition calculators all vary, please consult your favorite calculator for strict dietary needs. Thanks for stopping by and catching that mistake! 1 to 3 cloves of minced garlic is the amount we add to our meatballs! We use fresh most generally, but the pre-minced kind you find in the produce department also works. The recipe will be updated momentarily! You mention garlic but it is not listed in ingredients. How much garlic? Raw? Minced?